Why are these blocks made of foam? Do I really have to say, “Om”? Over 10 years, too many classes and one instructor certification later, I feel pretty confident in saying that almost all yogis, both young and old, have shared these same sentiments. 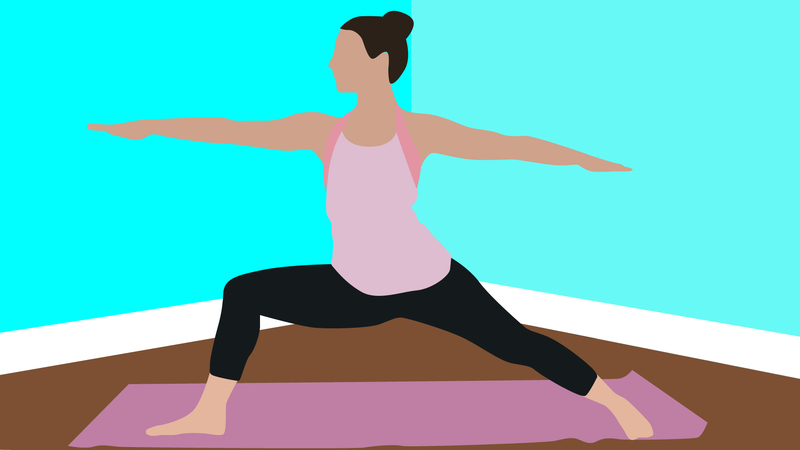 Trying something new is always a bit intimidating, even when it comes to yoga. But it’s important to remember that regardless of how long you have (or haven’t) been practicing, we all come to class with the same intention: to better our mind, body and soul. So if you’re just starting out, kudos to you! Welcome to the world of yoga. Here are 12 basic poses for you to do. 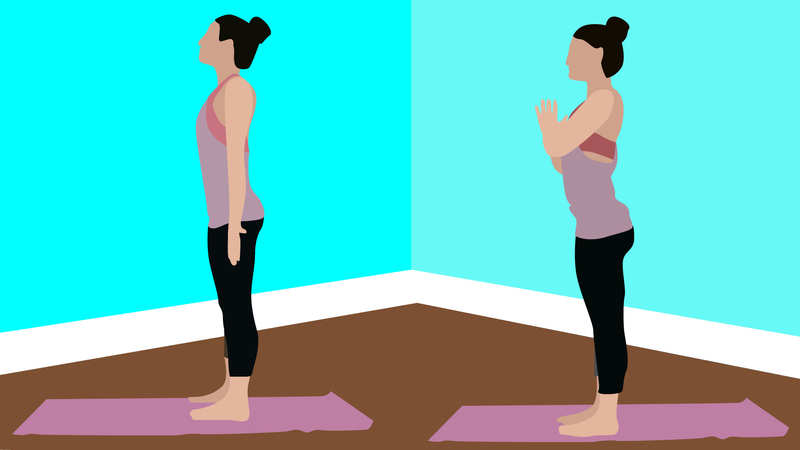 Standing straight up, feet about hips-width distance apart, let your hands hang alongside your body, palms facing forward to receive more energy, or bring your hands to a prayer position at your heart. Gently closing your eyes, begin taking deep breaths in and out through your nose, releasing any tension in the body and face and calming the mind. From Mountain pose, reach your hands down to the floor, bending your knees if need be. Walk your hands out about three to four feet in front of your toes. Pushing into your palms, lift your hips up toward the sky and press back into your heels, pressing them flat into the ground. Keep your gaze toward your legs and continue pressing your chest toward your thighs to create a nice flat back. 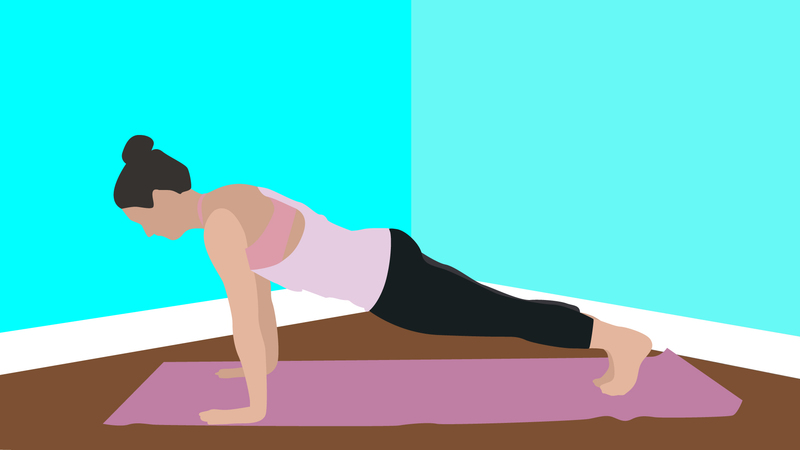 From Downward-Facing Dog, press up onto your tiptoes, and rolling over them, come into a high push-up position. Hold here for a few deep breaths, making sure your wrists are directly in line under your shoulders, heels are lifted towards the sky and hips are lowered and in line with the rest of your body. Keep your gaze a few inches in front of your fingertips, creating one straight line with your head, neck and back. From plank pose, slowly lower your body down to the ground either by lowering your knees, chest and then chin, or lowering straight down through the push-up position (Chaturanga). 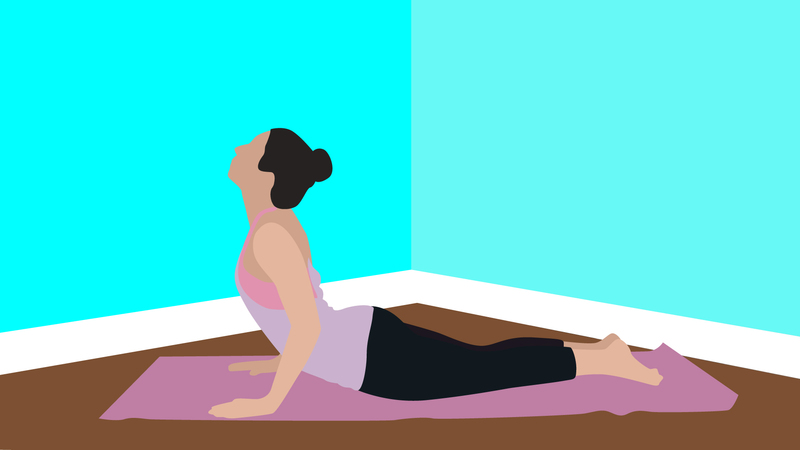 Press your palms into your mat alongside your chest, roll your shoulders back, and begin to lift your chest up off the ground while keeping your hips firmly planted. Keep a slight bend in the shoulders to avoid injuries. Sitting back on your heels, keep your big toes connected as you separate your knees about mat-width distance apart. From here, begin to walk your fingertips forward until you can’t reach any further. 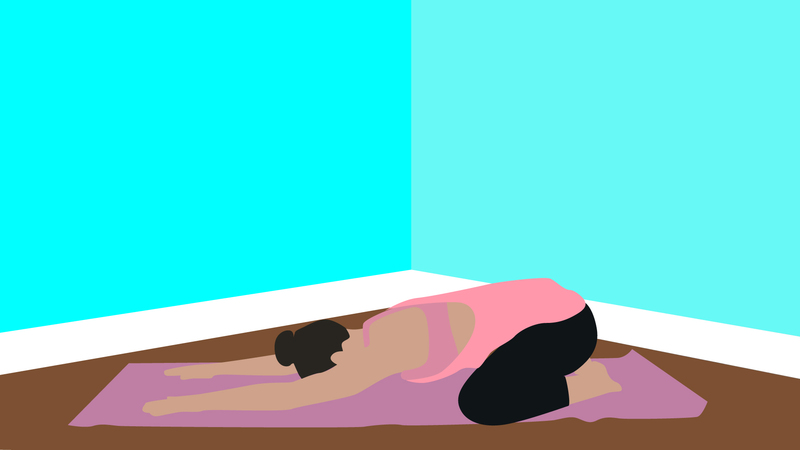 Once you are there, begin to lower your forehead and chest down to the floor while your hips continue to push back onto your heels, releasing any tension and allowing your body and mind to relax. 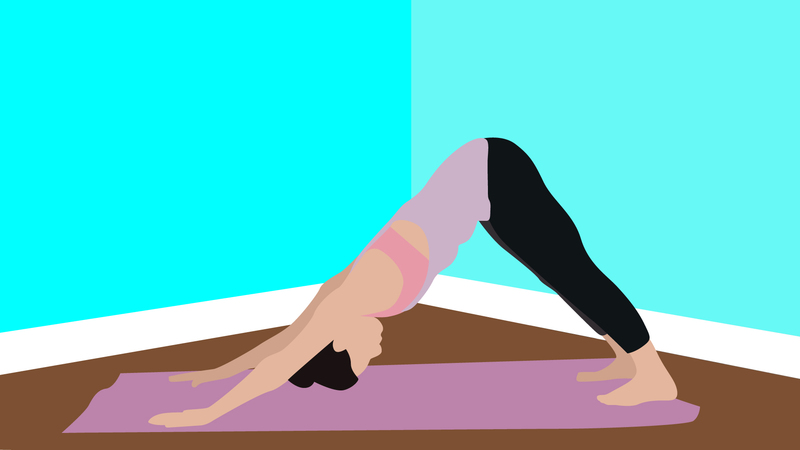 From Downward-Facing Dog position, step your right foot through and rest it in between your hands at the top of your mat, aligning your front heel with the inside of your back foot (front toes should be facing the front of the room, while the back toes are facing the side). Keeping a deep bend in the front knee and making sure the knee is directly in line with your ankle, cartwheel your arms up as you raise your chest off your thigh, reaching your arms in opposite directions. Hips face the side of the room while your gaze remains over your right shoulder, toward the front of the room.